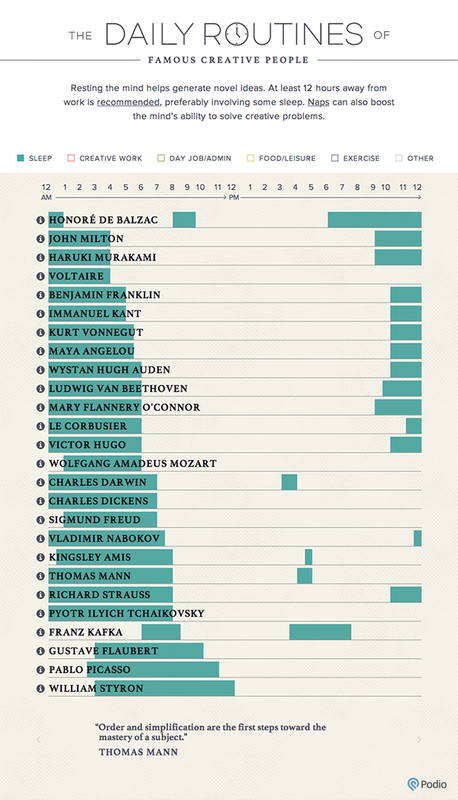 The Sleeping Routines of Famous Creative People #infographic ~ Visualistan '+g+"
Resting the mind helps generate novel ideas. At least 12 hours away from work is recommended, preferably involving some sleep. 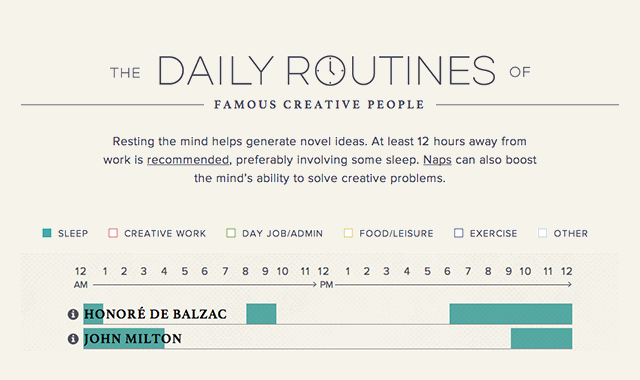 Naps can also boost the mind's ability to solve creative problems.